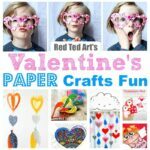 One of my favourite things about the (annual) 31 Days of Love series, is introducing **new** blogs to you my lovely Red Ted Art readers. They may not be “new new”, but “new to me” and hopefully “new to you” too. 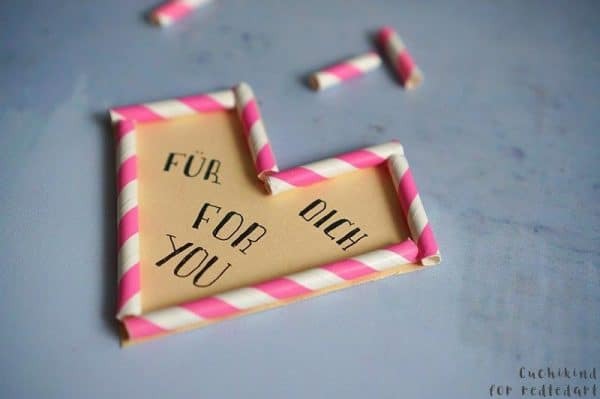 Today, I have such a blog – CuchiKind.de – a gorgeously crafty blog from Germany. CuchiKind.de also recently wrote a fantastic Christmas Craft Book for Kids. Do check it out! Use the “google translate” button to read all about it in your own language. 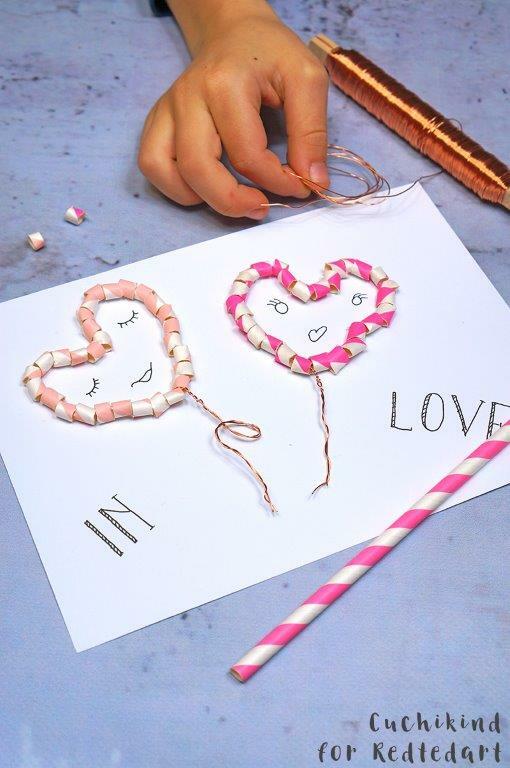 Today she shares with us, these fabulous fun straw crafts for Valentine’s Day. 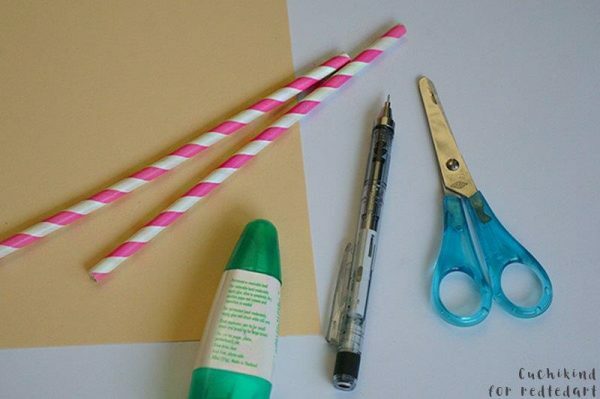 Working with paper straws is super fun.. and there are some really neat ideas of what to make. 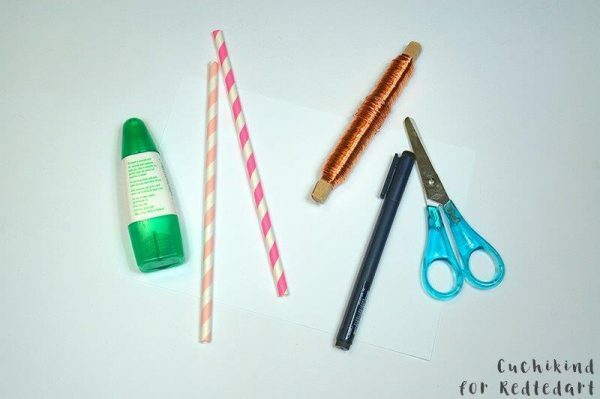 You can even learn how to make paper straws first. Fun! 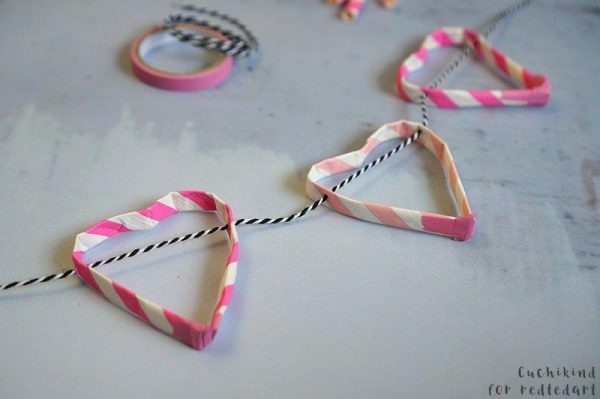 These Paper Straw Crafts join the ranks of all our other Easy Kids’ Valentine’s Day Crafts! 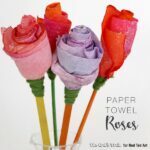 3 lovely gift ideas made with paper straws for Valentine’s Day! 2019 should have been about “blogging just for me”. We have just had a busy December period, and my two little boys are very demanding!! So really only wanted to work on the best collaborations…. when Maggy of Red Ted Art asked me if I would like to participate in her action “31 days of love” series, I couldn’t resist! It is exciting for me to leave the comfort of my “German Bubble” and write something in English for the first time. Maybe one or the other international guest will get lost on my site, I’m curious!! Remember there is always a “google translate” button on the top of the page and you should be able to easily read my articles. I hope the step by step photos will also help! So who am I? My name is Stefanie and I live with my husband and two boys (1 and 6) in the middle of Frankfurt, Germany. 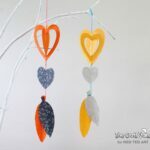 I have been showing crafting ideas for children for almost 6 years on my blog Cuchikind. Last year I wrote my first book and there will probably be more to follow. I am very active on Instagram and Pinterest. I’m happy about all new followers – do pop over and say hello! I have recently also ventured into YouTube (see the video below for a taster!). 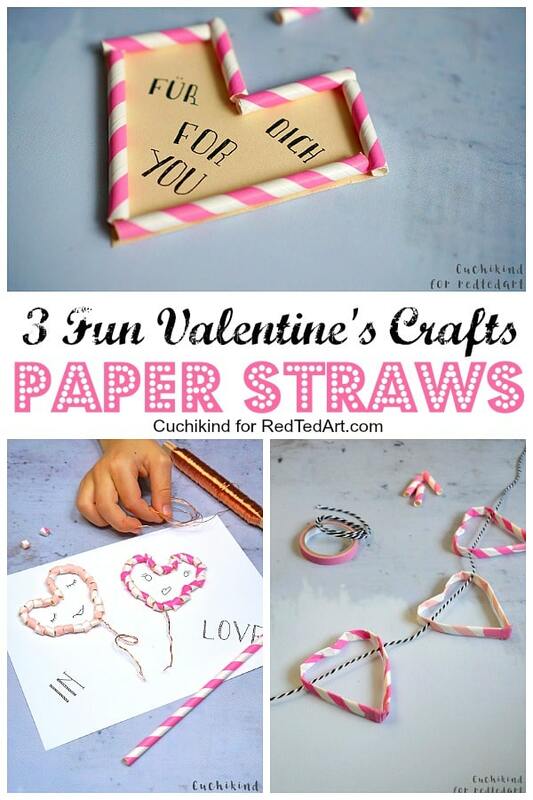 Today, I’ll show you three ideas of what to do with paper straws for Valentine’s Day. The first idea shows you my son in the video, the other two me. The gift ideas are perfect for Valentine’s Day or Mother’s Day. 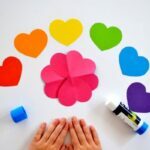 You can see how to make all three projects in this fantastic and quick YouTube video.. or follow the written instructions below! 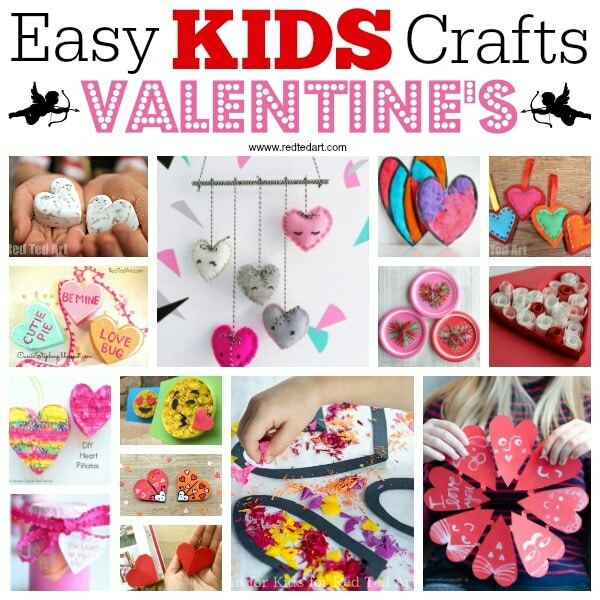 Wishing you lots of fun with our Hearty DIY Ideas.. do pop over and visit our website for more great crafts for kids! Look forward to meeting new readers! Cut the straw into small, about 5mm long pieces and thread on the wire. 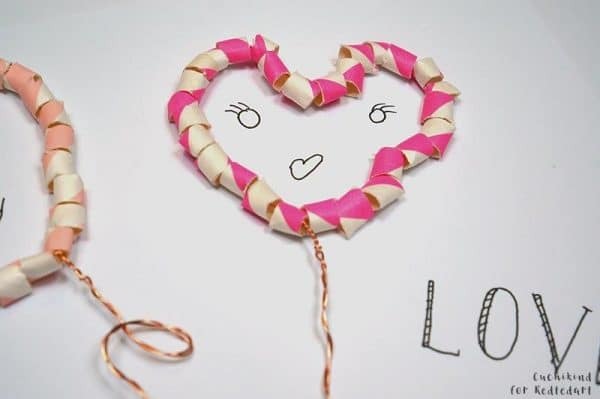 At the end, twist it together and form a heart. 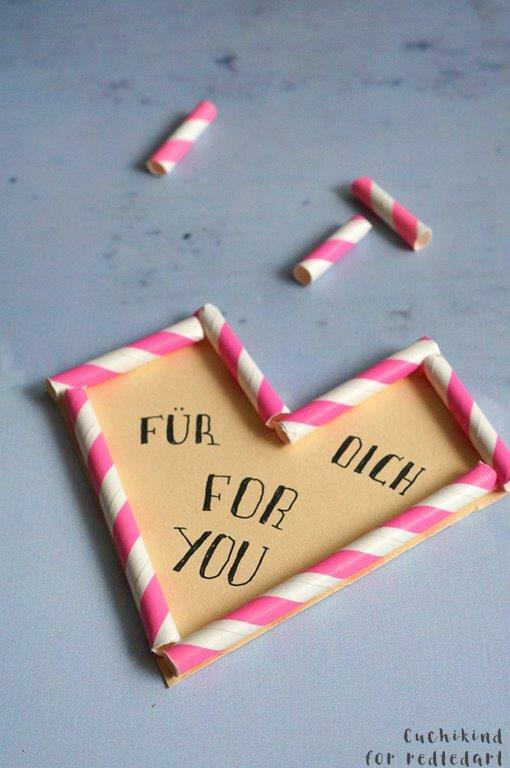 Stick the paper straw heart onto cardboard and write something nice about your friend. Maybe add some cute faces to the hearts. Do check out the video shared above for more details! Flatten the straw with your fingers and shape into a heart. 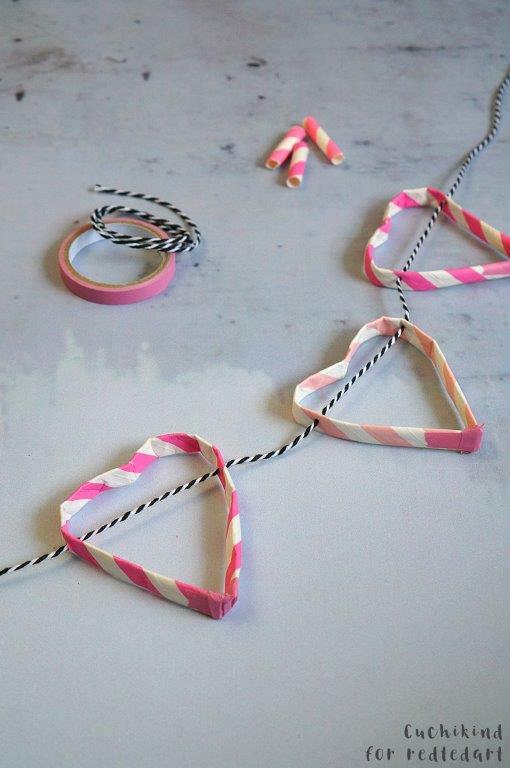 Glue the ends together with Washi Tape. 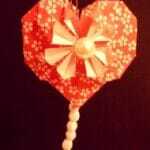 Pierce the needle and the baker’s twine through three hearts to form a garland. 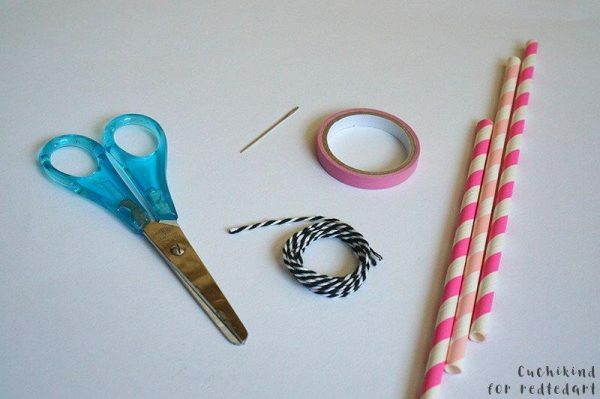 Yep.. that is it… wasn’t that a quick and easy paper straw craft to make? These make a great addition to the Valentine’s Day Decorations we have! 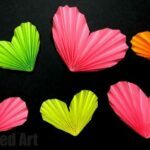 Cut paper straw into pieces of different sizes so that you can make a heart out of it. Lay them on the cardboard and glue them on. Cut off any protruding cardboard. Write a nice message to your friend with the pen. 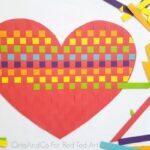 Check out more great Valentine’s Day Cards for kids! 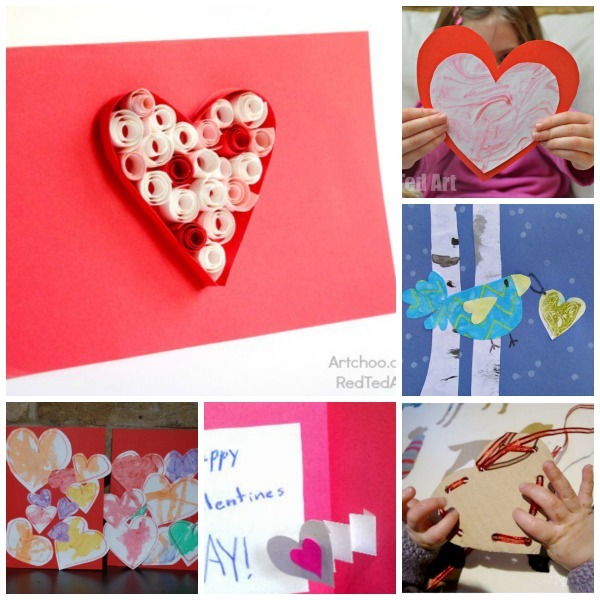 I hope you have enjoyed our heart crafts for valentine’s day and look forward to seeing you over on Cuchikind soon! Here are three of our favourite “past” project for you to check out! Thanks for having me! I am proud, that you asked me. Ah so lovely to have you!!! 🙂 thank you again for your fabulous projects. They are so cute!